It’s easier than you think to drive the classic or vintage car you’ve always wanted. Quest Auto specializes in leasing collector cars to enthusiasts all around the GTA. With flexible leasing options, our staff will find the right solution for you. Drive your dream car for a set time with a standard lease, or lease-to-own your classic car - we give you the power. Classic car leasing is easy with Quest Auto. There are countless classic and vintage vehicles out there, so contact us and let us know what you’re looking for. We’ll work hard to find your ideal classic car; Quest has a trusted network of contacts throughout Canada and the U.S. Whether you’re looking for an old convertible from the ‘50s, an exotic Ferrari from the ‘60s, or an American muscle car from the ‘70s, we’ll search high and low to find your dream car. Why wait to drive a classic or vintage car? Contact us today, and we’ll get to work right away. Leasing is a great idea for most people, but this is especially true for classic and vintage vehicles. Older vehicles tend to need more repairs and upkeep than newer cars, trucks, and SUVs. 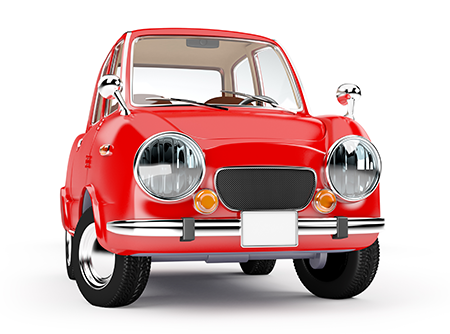 By leasing a classic car, you can drive it for a set amount of time, then return it once the lease is up. Bring back the classic ride, avoid repair costs, and get into another vintage vehicle. Of course, if you truly love a classic or vintage vehicle, we also have lease-to-own options. When you find your true dream car, sometimes it’s hard to bring it back. We’ll help you make the right leasing decision for your lifestyle. Contact us anytime for free leasing advice.